The F-Max SuperLite Men’s Complete Set is our lightest, most forgiving driver, fairways, hybrids, and irons that are each engineered with lighter head weight. As well as grip weight and shaft weights to deliver an unrivaled distance/accuracy for golfers with moderate swing speeds. Drivers - Forged E9 face and forgiving back/heel weighting, delivering the best combination of speed and distance. Fairways - Fast forged insert, and forgiving back/heel weighting that delivers higher, shots from any lie. 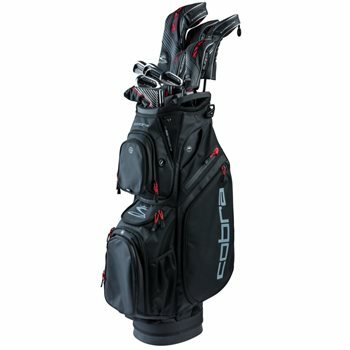 Premium Cart Bag - 14-Way top, 9 zippered compartment, 1 velour valuables pocket, and a large insulated beverage cooler.